News update: I have been confirmed as a judge at this year’s (2015) “Golden Target Awards”, the “Oscars” of the Public Relations Institute of Australia (PRIA), with judging commencing in mid-July. I have no doubt that if Australian-Jewish director Ariel Kleiman’s film “Partisan” was produced in a central or eastern European language such as Russian, Ukrainian or Georgian rather than English, it would be touted as a hot prospect for Best Foreign Language film at next year’s Academy Awards. It’s that good. Shot partly in Melbourne (at a Mount Eliza winery) and partly in Georgia – yes, the country of Georgia, located between Russia, Turkey, Armenia and Azerbaijan, “Partisan” is set in a mythical “middle Europe”. 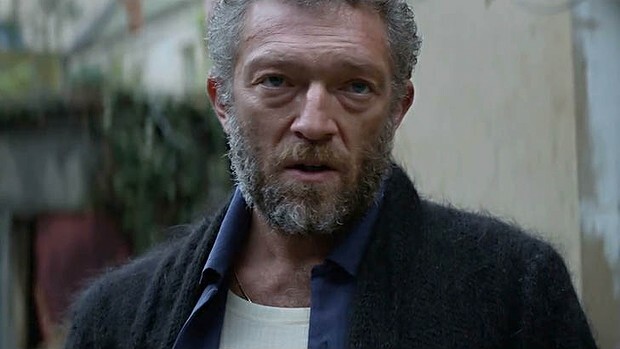 It features a multicultural cast headed by French actor Vincent Cassel, whose breakthrough role was the rage-filled Jewish character of “Vinz” in Mathieu Kassovitz’s “La Haine”. Here he plays Gregori, the charismatic leader of a cult-like sect where he is the alpha (and only adult) male, part Pied Piper, part saviour and part unquestioned intimidating master to a number of needy and vulnerable women and their children, who he both protects and preys upon. If viewers are put off by the language, it would be a shame, for Kleiman has created one of this year’s most haunting and disturbing films, one that starts slowly and gradually accretes to create a picture of emotional horror. With its creeping sense of dread, “Partisan” has much in common with “Ex_Machina” (currently screening), Alex Garland’s Frankenstein-like meditation on the potential horror of artificial intelligence. This is not classic horror like last year’s acclaimed “Babadook”, but something that – for me at least – operates far more effectively. Part of the power of “Partisan” is in our experiencing much of the story through the increasingly less innocent eyes of a young boy, Alexander (Jeremy Chabriel). This perspective operates in the same way that we viewed the world through the eyes of Kodi Smit-McPhee’s character in “The Road” (also by an Australian director, John Hillcoat), a film that haunted me for months afterwards. Gregori has raised Alexander from birth, and the tension in “Partisan” arises when Alexander begins to question his upbringing and role. Because here is the catch (minor spoiler alert): Gregori has trained his young charges for a particular mission: to conduct assassinations, reminiscent of the film “Hanna”. “Partisan” falls squarely in the category of films about cults; its closest recent neighbours are “Martha Marcy May Marlene” and “The Master”. Because I lived in California during the times of Jim Jones’ People’s Temple massacre and the Charles Manson murders, I find any strong evocation of cults particularly chilling. “Partisan” captures this claustrophobia. The beauty of “Partisan” – and it is physically stunning, shot by Germain McMicking, who won a special award for cinematography for this work on “Partisan” at this year’s Sundance Film Festival, also lies in its ability to illustrate its emotions through simple visuals. Director Kleiman – at the tender age of 30 and working with his co-writing partner Sarah Cyngler – has full control of all the elements of his film. Aside from the cinematography, he even commissioned three original songs for karaoke sequences in the film. The film’s themes are universal – parenting, mentoring, human need – but “Partisan” has a dark core that will not appeal to everyone: it is rated MA15+ “for strong themes and violence”, for good reason. Kleiman is a director to watch, an assured auteur with a powerful imagination whose future accomplishments are likely to be many. You are currently browsing the Don Perlgut's Blog blog archives for June, 2015.